When Zivah falls prey to the deadly rose plague, she knows it’s only a matter of time before she fully succumbs. Now she’s destined to live her last days in isolation, cut off from her people and unable to practice her art-until a threat to her village creates a need that only she can fill. Broken by torture at the hands of the Amparan Empire, Dineas thirsts for revenge against his captors. Now escaped and reunited with his tribe, he’ll do anything to free them from Amparan rule-even if it means undertaking a plan that risks not only his life but his very self. This YA novel has everything a teen reader could want. Rosemarked is a mixture of dystopian fiction and fantasy fiction and it combines the two genres perfectly. Author Livia Blackburne has done an astonishing wonderful job of world-building. She has created not just a single city and its surrounding geography, but an entire continent. She has created distinct races, each with their own distinct culture, religions and in some cases, language. 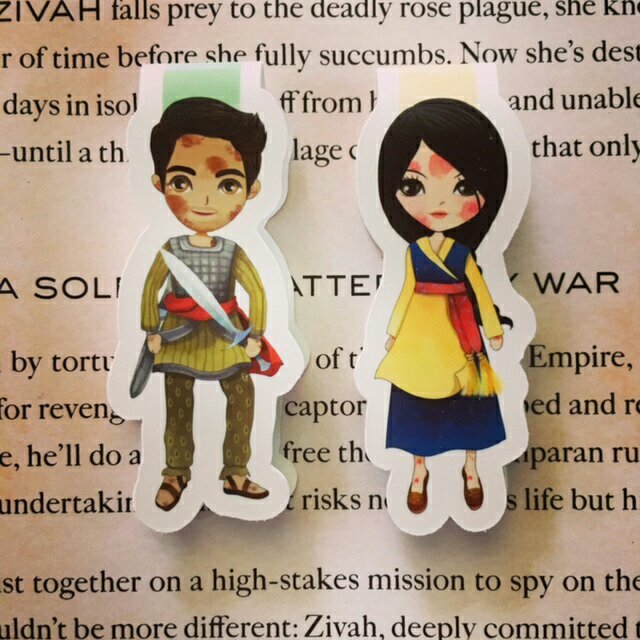 The two main characters are Zivah and Dineas. They come from completely different backgrounds and their life philosophies could not be more different. Yet their lives are inextricably entwined whether they like it or not. As often happens in reality, the more time Zivah and Dineas spend together, the more they realize that despite their outward appearances, they are not so different after all. This is a lesson that readers will hopefully take to heart, and transfer into their own lives; thus reducing racial discrimination in the real world. I was particularly impressed with Zivah’s character. She is a strong young woman who knows what she wants and will let nothing or noone get in the way of achieving her goal. Even though she is tough and fierce, she is also a caring person who wants to alleviate the suffering of others, even when it puts herself at risk. She is a terrific role model for the teens who will be reading this book. Those who enjoy books with lots of action, some intricate politics, and a dash of romance will love ROSEMARKED. 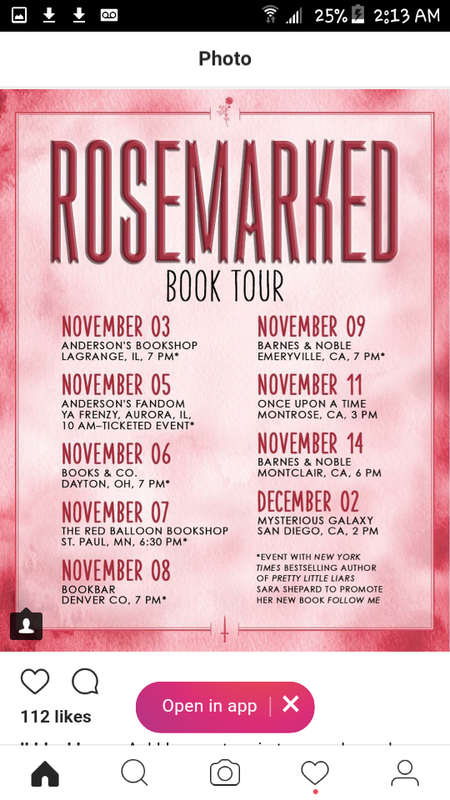 It is for this reason that I am rating this Young Adult novel as 5 out of 5 Stars and I predict that ROSEMARKED will take ìts rightful place on Teen Bestseller lists shortly after its release on Tuesday, November 7th. Enter Livia Blackburne’s giveaway to win a signed copy and some swag by clicking HERE. New York Times bestselling author Livia Blackburne wrote her first novel while she was a PhD student at the Massachusetts Institute of Technology, where she conducted research on the neuroscience of reading acquisition in children. Upon graduation, she switched to writing full time, which also involves getting into people’s heads but without the help of a three tesla MRI scanner. 1. She writes fantasy. Most often YA fantasy, but sometimes she branches out. 2. She was born in Taiwan, raised in Albuqurque, and spent her twenties in Boston, where she earned an A.B. in Biochemical Sciences from Harvard and PhD in cognitive neuroscience from MIT. 3. She started her debut novel Midnight Thief in high school, because writing a novel was the only way she could get out of the mandatory camping requirement. She finished about 60 pages. They were 60 awful, awful pages. She finished Midnight Thief 12 years later, because writing a novel was the only way she could keep her sanity while conducting doctoral research. This time, she got to 370 pages, and they were much less awful than the initial 60. 5. Like every good Asian kid, she played the piano as a child. She doesn’t do that as much anymore, but still loves to sing and dance. 6. She is horrible at any sport that involve fast moving projectiles, and dislikes most sports that involve highly repetitive movements (running, swimming, biking, etc.). This leaves basically dancing and martial arts. 7. When she wanted sweets as a child, her mother would give her one M&M. She thought that was normal, and to this day, has a very low tolerance for sweets. One bite of chocolate bar, half a scoop of ice cream is about all she can take. 8. If she had to choose one author with the biggest influence on her reading and writing development, it would be Tamora Pierce. 9. Some of her favorite books: The King of Attolia by Megan Whalen Turner, Plain Kate by Erin Bow, Code Name Verity by Elizabeth Wein, The Lies of Locke Lamora by Scott Lynch, The Scorpio Races by Maggie Stiefvater.